Candied orange peel and lemon peel are in high season for the Christmas baking of stollen, gingerbread, honey cake and other treats. But also in fruit cake and other fruity baked goods, these baking mixes are a must have. Candied orange peel 1/2 peels, "Italian style"
Candied lemon peel / succade 1/2 peels, "Italian style"
For candied orange peel, first the white part of the peel is removed, then the relatively thick peel is soaked in water and boiled in salt water. After the peel has softened, it is boiled in sugar syrup and cooled down to generate the tasty bittersweet orange peel. 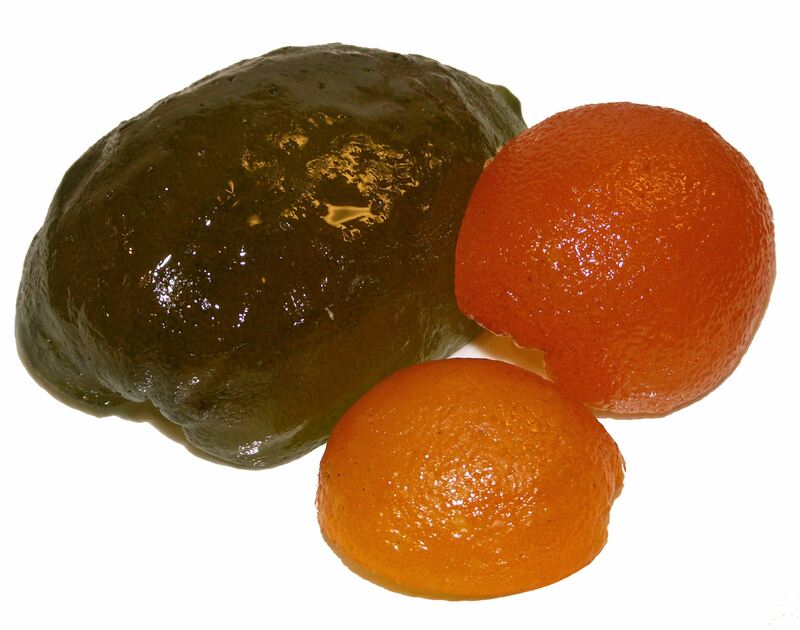 For succade, the peel of the citron is processed in the same way. Their is is sour-sweet due to the etheric oils in the peel.